.net and .com are two of the original top level domains which were created in 1985. Initially .net was intended to be used only for the computers of network providers. On the other hand .com domains were originally intended to designate commercial entities. 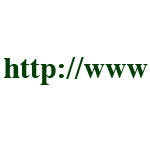 Since there has been no restriction on who can register .com or .net domains since the mid-1990s, both domains are being used by a wide range of business types. The .com domain quickly became the most common top-level domain and the .net became the second popular except the two country specific domains .cn and .de. Both domains are currently operated by VeriSign, Inc.
Lathan K. "Difference Between .net and .com." DifferenceBetween.net. May 26, 2009 < http://www.differencebetween.net/technology/internet/difference-between-net-and-com/ >. Very helpful description – short and too the point. Ty.